Raj Kapoor Fanclub Blog is a blog of Raj Kapoor Fanclub forum.All the news all the topics all the post. Here you can Read all the forum News. Every thing about Raj kapoor and our Forum. Hello! Welcome to Raj Kapoor Fanclub Blog Here you can get many info about Raj Kapoor and his movies from the forum.. Considered the most handsome Indian actor of Pre-Independence India and the founder of India's first film family, the Kapoors. Born in Peshawar in a middle-class landlord family. His father was a police officer. He enrolled at Edward College, Peshawar after finishing his schooling at Lyallpur and Lahore. He was married at 18 and did a year of law after graduation but interrupted his law studies to pursue his dreams of acting. Was posthumously awarded the Dadasaheb Phalke Award for his contribution to Indian Cinema. In 1944, he invested in and set up Prithvi Theatre. He was the first to use the concept of modern, professional urban theater in Hindustani. 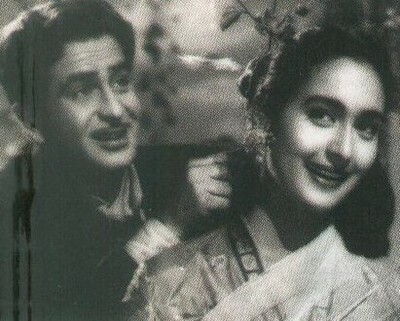 In over 16 years of its existence under Prithviraj Kapoor, the theater did some 2,662 shows, with Prithviraj starring as the lead actor in every single show. Acted in India's first ever talkie Alam Ara (1931), although not in the lead role, which was given instead to Master Vithal. Prithviraj did his B.A. from Edward college, Peshawar, a feat that few of his descendants were destined to match. He also studied law as a graduate student for one year, but his heart was in the theatre. In 1928, with the help of a loan from his aunt, Prithviraj moved to the city of Bombay (present-day Mumbai) which is the switch of the Hindi film industry. He acted as an extra in his first film role, though he grew up to get a lead role for his third Cinema Girl in 1929 . After featuring in nine silent films , Kapoor did a supporting role in India's first film talkie, Alam Ara (1931). His performance in Vidyapati (1937) was much appreciated. His best-known performance is perhaps as Alexander the Great in Sohrab Modi’s Sikander (1941). He also joined the only English theatrical company called 'J. Grant Anderson' which remained in India for a year . Through all these years Prithviraj remained devoted to the theatre and performed on stage regularly. He developed a reputation as a fine actor on both stage and screen. By 1944, Prithviraj had the wherewithal and standing to found his own theatre group, its premiere performance was, Kalidasa's "Shakuntala" in 1944. 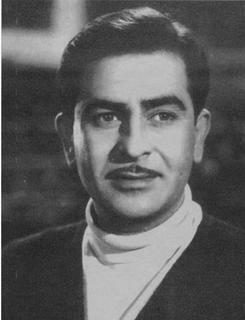 His eldest son, Raj Kapoor, had already struck out on his own; the films he produced had been successful and this was also an enabling factor. Prithviraj invested in and founded Prithvi Theatre, a travelling troupe which staged memorable productions across India. In over 16 years of existence, the theater staged some 2,662 shows. Prithviraj starred as the lead actor in every single show. Commemorative stamp celebrating 50 years of Prithvi Theatre, 1945-1995By the late 1950s, it was clear that the era of the travelling theatre was past; that art-form had been irreversibly supplanted by the cinema. No longer was it financially feasible for a troupe of up to 80 people (as Prithvi theatre was) to travel the country for four to six months at a time with their tons of stage props and equipment, living in hotels where possible and at campsites otherwise. The financial returns, through ticket sales and the rapidly diminishing largesse of patrons from the erstwhile princely class of India, was just not adequate to support such an effort. Many of the fine actors and technicians that Prithvi Theatres nurtured had found their way to the movies. Indeed, this was the case with all of Prithviraj's own sons. As Prithviraj progressed into his 50's, he gradually ceased theatre activities and accepted occasional offers from film-makers, including his own sons. Later, under his son, Shashi Kapoor, and his wife Jennifer Kendal, it merged with the Indian Shakespeare theatre company, "Shakespeareana", and the company got a permanent home, with the inauguration of the "Prithvi Theatre" in Mumbai November 5, 1978 . In 1995, the 'Golden Jubilee year' of the founding of Prithvi Theatre, India Post, issued a special two Rupee, 'commemorative' postage stamp in New Delhi , it featured the logo of Prithvi Theatre 1945-1995, and an image its founder 'Prithviraj Kapoor', without the name, as just his face seemed enough, being the legend that he had become in his lifetime and beyond in Hindi theatre . The first day cover, (stamped 15-1-95) showed a illustration of performance of travelling theatre in progress, on a stage that seem fit for a travelling theatre, as Prithvi theatre was for sixteen, till 1960 . His notable filmography of this period includes Mughal E Azam (1960) where he gave his most memorable performance as the Mughal emperor Akbar, Harishchandra Taramati (1963) where he played the lead role and unforgettable performances as Porus in Sikandar-e-Azam (1965) and the stentorian grandfather in Kal Aaj Aur Kal (1971) where he appeared with his son and grandson Randhir Kapoor. Kapoor starred in the legendary religious Punjabi film Nanak Naam Jahaz Hai (1969), a film so revered in Punjab that there were lines many kilometers long to purchase tickets. He also starred in the Punjabi films Nanak Dukhiya Sub Sansar (1970) and Mele Mittran De (1972). In 1954, he was awarded the Sangeet Natak Akademi Fellowship, and in 1969, the Padma Bhushan by the government of India. He remained Nominated Rajya Sabha Member for eight years . After his death in 1972, he was posthumously awarded the Dadasaheb Phalke Award for the year 1971. He was the third recipient of that award, the highest accolade in Indian cinema. As was customary in that era, Prithviraj married at a young age. At age 18, Prithviraj married the 15-year-old Ramsarni Mehra, in a match that was arranged by their families. Their eldest child, Raj Kapoor, was born in December 1924. By the time Prithviraj moved to Bombay in 1928, the couple were the parents of three children. In 1930, Ramsarni joined Prithviraj in Bombay. The following year, while she was pregnant for the fourth time, the couple suffered the tragic loss of two of their three children in the space of one week. One of their children, Devi, died of double pneumonia while the other child, Nandi, died of poisoning in a freak incident when he swallowed some rat-poison pills strewn in the garden. The couple went on to have four children further. All three of their surviving sons, Raj Kapoor, Shammi Kapoor and Shashi Kapoor, were to become famous actors and film-makers in their own right. They also had one daughter, Urmila. After his retirement, Prithviraj settled in Bombay, in a cottage near Juhu beach. The property was later to be converted into a small, experimental theatre, the Prithvi Theatre. Both Prithviraj and Ramsarni suffered from cancer in their declining years and died within a fortnight of each other. Prithviraj died on May 29, 1972 and was followed by his wife of 48 years on June 14th the same year. Many today, remember the late Raj Kapoor. Some enjoy listening to his songs, most of which were sung by the late Mukesh and some just enjoyed his films and many enjoyed watching his films as to them, he was considered portraying reality and for many facts of life. To many, he was the ultimate showman in Bollywood. But what is it that makes millions outside India remember the showman? In countries like Russia and China, where there are not many Indians, still listen to songs from raj Kapoor's movies such as "Awara" and "Shree 420." In deed Raj Kapoor did go to Russia a long time ago and also had a Russian Circus in his epic movie, "Mera Naam Joker" and also gad a Russian actress in it. But what about China? Nothing suggests that the late showman went to China and yet many elderly Chinese have said that they grew up listening to his songs. It is understandable if someone from another country such as USA, Britain, where the Indian population is high outside India, says this. 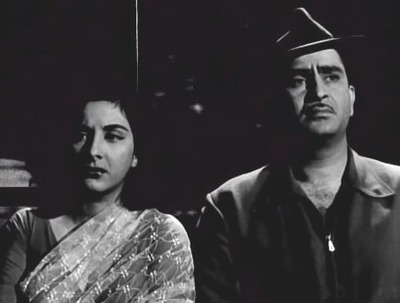 In deed Raj Kapoor made films that in many ways were applicable to the public where reality was concerned. He showed reality in many ways and also went on to explain facts of life in more than one ways. So what was it about this showman that has made many remember his films and songs? Well here is What Israel know about Raj Kapoor. In Israel we have alot Indian people that come from India. Same of them Stile Remember who his it Raj Kapoor and stile watch his movies and Listen to his songs. One day after I move to my new house with my family. me and my family meet our neighbor nice person with the name Mahir. Mahir he is not An Indian person. One my dad invit him to our party for the new house Mahir that bring same present and fell sad for at. Next day he come to us with a peresent he say that he don't bring Preset Yesterday and He woes fell Sorry about that. He sit with my father and talk they talk about many stuff. then next week dad ask me If I have the movie Sangam I say yes I did then he ask me if I Have Hebrew Subtitle with that I say not it only incloud with English subtitle. One day My dad back home I Remember I Woes in my room. then I hear the opining of Raj Kapoor You know with the Barsaat posion what Raj add to all his movie in the begin. I Run down and see that My Dad buy Sangm. I say what? and it woes Incloud Hebrew Subtitle And Guess how check the movie if it ok... Me. So I Make fast Checking for the movie and say to my dad That this ok my dad cell my brother tell him to bring the movie for Mahir. Yes there many people in Israel that love so much the movie Sangam same of them Remember all the songs Today same of them will know only that Raj Kapoor make the movie Sangam and play there. But if you go to the old people and say Raj Kapoo they start singing to You "Ichak Dana" and "Awaara Hoon". Legendary actor-filmmaker Raj Kapoor was not only popular in Russia, but also had his share of fans in China, according to Tourism and Culture Minister Ambika Soni. Speaking at the Traveller Diamond and Platinum Awards function, Soni said she was surprised that Indian films were watched in China, which she recently visited for a cultural event. "A senior citizen asked me if any Indian film stars or songs would be seen in the festival. When I said no, he said he had grown up listening to the songs of Raj Kapoor's movie Awara," Soni recounted. "I was surprised to see the extent of the penetration of the Indian film industry," she added. The Diamond Award at the event organised by Today's Traveller magazine was presented to well known producer-director Yash Chopra for his contribution to the Bollywood film industry. On the occasion, Soni released The Bollywood Connection, a book which showcases travel and tourism in the country by exploring different spheres of leisure and business. "The Indian film industry has not only emerged as one of the biggest in the world but is also making quality films," Soni said. Soni said actor Aamir Khan had been chosen to be the brand ambassador for the Atithi Devo Bhava campaign of the tourism ministry. Under the scheme, efforts are being made to increase social awareness about the needs of tourists, especially women travellers. Yes! but what is it that makes one remember the late Raj Kapoor? Is it what he portrayed in his films, was it the man himself? What was it about his films that they made so appealing even today? I entire;y agree with this. I had an Israeli friend at College who cam from Tel Aviv and one day as I playing some songs from "Sangam".He came and sat down and listened to them with me. Then he cried and when I asked him why, he said that he was "homesick" as he heard these songs at home so many times. The thing was that he could understand hindi and speak some words as well What he told me afterwards is that he could understand the message that was being passed on to the audience. yes you right many people in Israel know the songs of Sangam. One time The israel Cinema make movies that talk about two mans that open a cinema house there they woes shows 24 The movie sangam. the true his that the story of the movie happend to them too. Just that the other man Wily Die in the army. They also ask Premition for Rk Company to show Same parts of the movie. This woes amazing I can see Rk Icon in the end of the movie under the Thanks Line. I wouldn't disagree with you at all. If you watch his 1973 hit "Bobby, " which starred Rishi Kapoor and Dimple and in particular towards the end, when the two are about to jump from very high into a river gorge and his father, who had objected to the son marrying someone who he didn't approve of and also she was not a Hindu, begs the young couple to move away from the edge, the son just laughs off this and says that even if they were to move away, then the father wouldn't allow them to get married and that they would rather die together. The father keeps on trying until the son and the girlfriend ju,p off. The dialogues said it all - how the parents today have to accept no matter in which community or caste the son or daughter marries in, it has to be accepted. This film was considered to be way ahead of its time; but if you look into it a bit deeper now, you will notice that this sort of thing is happening now - intercaste marriages. After "Mera Naam Joker," Raj Kapoor was almost without any money but he more than recovered it from "Bobby," in which his friend actor Pran and brother in law, Premnath are said to have worked for free. I every Raj Kapoor movie, there was some sort of a message, I beilieve for the audience, which I think that is missing in a lot of the movies today. The film was ready to go on the floors and Raj was determined to get himself the best studio in town. Famous Studio in Mumbai’s central suburb, Mahalaxmi, had been highly recommended to him. He’d heard that Jaddan Bai was at Famous Studio where her son Akhtar Hussain was shooting Romeo and Juliet, the first production of Nargis Art Concern. Raj rushed to the studio to meet bibiji with the intention of quizzing her about the facilities that Famous offered. But he missed her by minutes. The unit, he was told, had packed up for the day and gone home. Raj impulsively decided he’d drive on to Marine Drive where Jaddan Bai had her apartment. A quarter of an hour later he was outside her door ringing the bell. Jaddan Bai’s eighteen-year-old daughter Nargis was in the kitchen frying bhajias. Hearing the doorbell peal she rushed to open the door and was so startled by the sight of a blue-eyed, rosy-cheeked stranger shuffling outside her door, that she put a hand nervously up to brush away her untidy locks and smeared her forehead with the besan dough on her fingers. Raj was enchanted by the image of this lovely girl with besan on her forehead and hair. The crimson blush staining her cheeks as she realized what had happened, enhanced the pretty picture. Stammering with embarrassment Nargis asked him shyly who he was. Raj introduced himself as Prithviraj Kapoor’s son. Nargis recalled seeing him in the play, Deewar, at Prithvi Theatre and invited him in. But when Raj enquired about bibiji and learnt that Nargis was at home alone he refused to enter the apartment and hurried away. He went straight to the home of his scriptwriter, Inder Raj Anand. “I must have that girl in my film. Write her into the screenplay of Aag,” he commanded. And Nargis walked into Aag in the ninth reel. Thanks again for the good info kkm. Did you know that Raj make two shoots in this movie? It look like Raj kapoor do shout of the first song on this movie. You can see that before the song Raj Woes with out his Masestach and then on the song he have at. I think the mustache scene was shot after the completion of the film its more like a portrait for example when we sometimes pose infront of a still camera for a nice photo. While watching Aag I got to see some similarities with Mera Naam Joker, as a matter of fact two of his most personal films. The first that came to mind is about the "phases" into witch both movies are devided, ok Aag doesn't have the three chapter division but it is build in three times of the life of the main character, the first being his days as a child, then his youth and highschool days, the last one is his adult days with him finding his way in life and his work as a theater director. A third one is about a clown that in Aag Keval, as a child sees while a circus is coming to his hometown, the clown is just announcing the coming of the shows with the circus...same image is in MNJ only this time the clown presenting the show at the gathering crowd is Raju himself. Even though I did not analize in full the meaning if any, certainly to me it seems too specific to be only random coincidences. Rita I like you Article about the movie and You right The Movie has have three time. Kkm now that I start play with my video camera I start to know what run in Raj Kapoor Mind when He think to make the second shoot. When you shoot same part You know that you don't always get what you won't. I woes won't to Shoot the Airplain that Woes drive over my sister Work place but then He Over on our Car so close and I missed him and turn the Camera fast to the Second side. When you work with Camera You have to Be in the Right place in the right time and If you not get what you won't You mast try again and again. This what I LEARN TODAY. Although the film was a major flop at the box-office (I still don’t understand why because it was a great film), however the only thing that was a major success was its astonishing music from Shankar-Jaikishen. 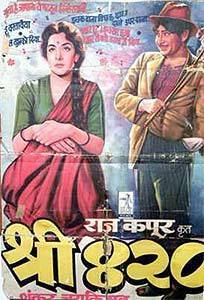 Like all RK Films, music was one of its assets, and it won the Best Music award in 1971. Mukesh had two classic songs, Jaane Kahan Gaye Woh Din and Jeena Yahan Marna Yahan, are not only the best songs in the film, but some may consider it to be Mukesh two greatest songs ever. Manna Dey sings one of his best songs ever in Ay Bhai Zara Dekh Ke Chalo, which earned Manna Dey an award. The other Hit tracks were Ang Lagja Balma, Daag Na Lag Jaye, Kaate Na Kate Rehna, Kehta Hai Joker Sara Zamana, Teetar Ke Do Aage Teetar, and Sadke Heer Tujhpe, Mera Naam Joker album was simply fantastic. Once again, RK Films scores with Mera Naam Joker. Ravindra Jain was best known for the music of Ramanand Sagar’s TV Epic Ramayana, however, with Ram Teri Ganga Maili, he came up with his biggest and most popular album till date. Although he did other RK Films and other films, he never produced great album than this one, and Ram Teri Ganga Maili became the third best-selling album in the 80s. All of the songs from Sun Sahiba Sun, Yaara O Yaara, Husn Hai Paharon Ka, Ek Dukhiyari Kahe, Ek Radha Ek Meera, Main Hi Main Hoon, and Tujhe Bhulaye, every song was very rich in its lyrics and each song had wonderful musical composition. Like Yashraj films, RK Films always have great music in their films, and Raam Teri Ganga Maili is ranked right at the top. One can honestly say that Shankar-Jaikishan ruled the 50s when it came down to quality albums. Chori Chori is another feather in their cap as almost every song is first-rate. 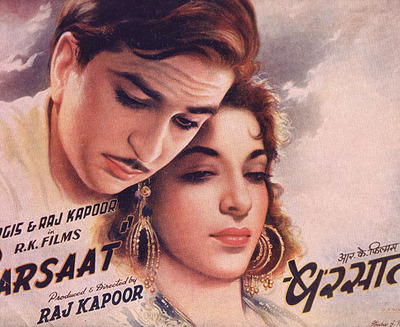 Although Chori Chori remains the last film of Raj Kapoor and Nargis together as a pair, it was its music of Chori Chori that makes Chori Chori popular. Aaja Sanam Madhur, Rasik Balma, Man Bhaanwan Ke Ghar, Jahan Main Jaati, Yeh Raat Bheegi Bheegi, Panchhi Banu Udti, Sawa Lakh Ki Lottery, Is Paar Saajan are what makes Chori Chori a superior album. Another huge achievement from the Shankar-Jaikishan duo. No one would’ve expected both the music soundtrack and movie to be huge Hits. Yes, it was an RK Film, and Raj Kapoor was directing it, but it starred Rishi Kapoor who was making his full role debut in a film after Mera Naam Joker, and you also had Dimple Kapadia making her debut. So one can say that Raj Kapoor was taking a risk by casting two new stars. 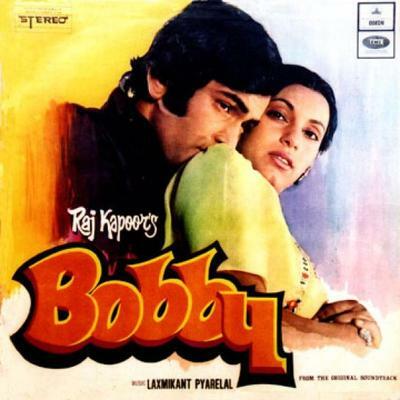 However, Laxmikant-Pyarelal came up with a memorable score which had tremendous appeal to the youth, which is why Bobby is the number one selling soundtrack in the 70s. Main Shayar To Nahin, Hum Tum Ek Kamre, Beshak Mandir Masjid, Mujhe Kuch Kehna Hai, Jhooth Bole Kauwa Kate, Ankhiyon Ke Rehne Do, Ae Phasa became a craze at that time. With Bobby album, Narenda Chanchal and Shailendra Singh became a household name, and Bobby had some evergreen tunes, which is still popular after 35 years of its release. Come on, it’s an RK Film, especially if Raj Kapoor is going to direct it, you know the music will be nothing but outstanding. Shree 420 proves this theory right. Another reason why Shree 420 album is a classic is because of its simplicity at that time. Each song was a winner in its own right. Mera Jhoota Hai Japani, Ichak Dana Bichak Dana, Ramaiya Vastaviya, Pyar Hua Ikrar Hua, Dil Ka Haal Sune Dilwala, Mud Mud Ke Na Dekh, O Janewale, and Sham Gai Raat Hai remains as gems till this day. Although there were many memorable albums before Shree 420, however, it was this album that created a mark in the overseas, especially in Russia where some of the songs from Shree 420 are still popular in Russia. Albums like this will never die down, it will continue to live. Another winning soundtrack in the RK camp. 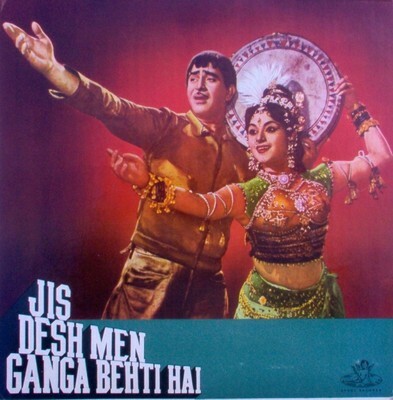 Raj Kapoor’s Sangam was not only one of the biggest Hits ever in Indian cinema, but it was the #1 selling soundtrack in the 60s. It was winning score from the first song to the last song. Each song is unique in its own way, and the result of each song is appealing and easy to the ears. 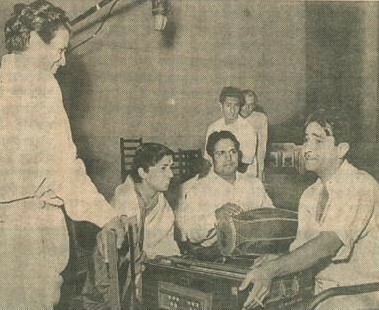 From the wonderful Bol Radha Bol, to the romantic Yeh Mera Prem Patra, to the haunting Dost Dost Na Raha, to the beautiful O Mehbooba, to the superb Har Dil Jo Pyar Karega, to the amusing Main Ka Karoon, and the splendid O Mere Sanam, the beauty of Sangam album was its simplicity and the album had a soul, which lacks in today’s soundtrack. It’s sad that the recent RK Films (PremGranth and Aa Ab Laut Chalen) had average scores, because back in the old days when RK Films were releasing, you can bet your money that an RK film will have great soundtrack. Sangam is amongst the top soundtrack in the RK banner and one of the best ever in Bollywood history. What’s one thing you remember from any RK Films? It’s likely the wonderful musical score that is associated with it. Almost every RK Films has perfect score, and Awaara is an perfect example of that. 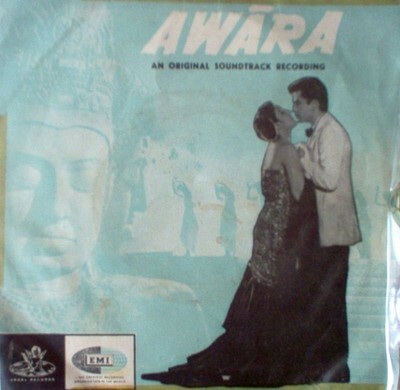 To be honest, Awaara is the best musical album in the 50s decade, also it was the top selling album of the 50s. Every song from Awaara is an evergreen. I would consider Ghar Aaya Mera Pardesi to be one of Lata Mangeshkar best song till date, probably in the top 10 list. An instant rewind candidate. Other gems in this album are Dum Bhar Jo Udhar, Awaara Hoon, Hum Tujhse Mohabbat Karke, Jab Se Balam, Ghar Aaye, Ek Bewafa Se Pyar Kiya, Aa Jaao Tadapte Hain Aarman, Ek Do Teen, Tera Bina, and Haiyya Ho Naiyya. We need more scores like Awaara in today’s time, as Awaara remains a classic after 56 years of this release. This is a little Clip that all The people that work with Him tell you moor stuff about Him and Maybe Same stuff that you don't know. He would tell his life story passionately. Like he made films. From Awara to Ram Teri Ganga Maili, he was obsessed with all his films even though his profession had taken much more than given in return. It took me a long time to convince him to talk about himself. It took me even longer to tell him that it was for an interview for public reading. Finally, after much cajoling from me and my good friend Randhir Kapoor, Raj Kapoor, relented. It was over innumerous cups of tea, and endless meetings at his cottage that I finally got him to relive his past. And the glory of it! We hail from a small town called Samandru. My grandfather was a judge and my grandmother wished that my father Prithviraj Kapoor too would study law and become a judge like her husband. But my father had other plans. A graduate, he took keen interest in literature and Shakespeare. He was very fond of Ramleela and that's how he got interested in theatre. Once, he was chosen to play Ram in a small Ramleela company, but his parents were against it. Those days acting was not considered a respectable profession. Only prostitutes and other such lower classes were associated with it. My grandparents felt very humiliated that their son was a part of Ramleela. But my father had made up his mind and one fine day, he gave up his studies, left home and came to Bombay with my mother and me. We lived in a one-room tenement on Reay Road. From here he started his struggle in films. And that was the beginning of the legend that he was to become. Papaji was like a universe. I've never seen a more complete man. We, Shammi, Shashi and myself are nothing compared to him. In a way he was responsible for the star system. He was the first actual star on Hindi screen. His spirit was always the same, undiminished till the last day. Papaji died of throat cancer. I took him to Sloane Kettering and we tried everything to save him. The doctors gave him three months to live. He wanted to come back and die in his own house. When the end came, Shashi was in London and its incredible how Papaji remained alive till his son's return. As soon he arrived Papaji took his three son's hands in his and said: 'Never shall you three brothers part!' and then passed away. I think we brothers realised his loss more and more as we grew older. We actually grew closer after his death. Earlier we had drifted apart in search of our goals... our success. But strangely with age our memories of our childhood sharpened. I used to work on stage as a child artist. Shammi and Shashi also joined me. Shashi loved the theatre like Papaji, while I loved cinema. Shammi struck a happy medium. Nobody knows this, but my parents had two more children, Virendra (Bindi) and Davendra. Both died at a very young age. Virendra by accidentally swallowing rat poison, and Davendra of pneumonia, at the age of three. Recently when Shashi and I were jointly admitted in the Breach Candy Hospital, I felt very protective towards him. A woman always has her man, but the man unconsciously leans on his roots, his heritage. He feels like an orphan without his parents. Mine was the only arranged marriage among us brothers. Actually Krishna is my bua, my father's second cousin. One fine day my father said, "You are getting married," and I said, "Yes father". That was in 1946 when I was 22 years old. Nine months later Daboo was born. When he was 15 days old my father introduced him to the audiences at the Opera House where he was performing a play. He put paint on his face and applied a tilak on his forehead and announced his birth. That was the kind of pride he had in his work. He was far removed from today's actors, and this includes my own sons, who make their living out of films and hypocritically say: "Oh, we don't like filmi people!" I've struggled a lot for what I have today. Those days most of the shootings took place indoors, there were very few outdoors. Once when I was shooting for Awara, I had completed 13 days of shooting when on the 14th day I was asked to dismantle my sets because the studio had been hired to someone else. I was very upset and that day I decided to make my own studio. I put together all the money I had and laid the foundation of RK Studio. During our days money was very hard to come by. It took almost ten years to earn my first lakh! When I was picturising the song Ghar aaya mera pardesi on 13 different sets my wife Krishna saw it and her reaction was: "We don't have a house to live in and you are spending all your money on your studio!" I understood her concerns and explained to her: "Jo pehle set banate hain, unke ghar baad main bante hain. Jo pehle ghar banate hain unke set kabhi nahin bante." Initially I had thought that only RK films would be shot in my studio but God had something else in mind for me. Jab main fakir ban gaya, I had to let others shoot in my studio. No, Nargis never helped me financially. I never took money from her to build RK but RK ke har set par Nargis ki mehnat aur lagan chuppi hui hai. The RK emblem is a reflection of her contribution to the studio. Without her the emblem cannot fully represent RK. Later, I bought a house in Deonar and shifted there with my children. My father refused to come with me, he preferred to stay back in our old house in Matunga, nor did he ask for anything from me. He never asked me how much I earned. I've continued this tradition. One has to change to adapt to the new breed. But sometimes I don't understand the new world. I remember, some years ago, an actress came to me with her father for a role in Kal Aaj Aur Kal. While negotiating the price the father said: "Look I'm not interested in your RK banner. I'm only interested in how much you pay my daughter." This is what the system has done to today's actors. Maybe they are right, but there is a sense of loss in all this. A girl like Padmini Kolhapure, who is tremendously talented, is allowing herself to be a victim of the system by her choice of films. Why, for Mr Rishi Kapoor's dates I've got to go to his secretary and plead with him! I laugh when people call me a legend or an institution. V Shantaram or Mehboob Khan could be called that. Not me. I only feel old and tired. And I see RK as a flickering flame. It is up to Daboo, Chintu and Chimpu to keep it burning. It is now up to them. In Anand even Raj Kapoor don’t play in this movie you stile keep fell that Raj Kapoor there. The songs, the soundtrack, the words, the acting. The list of his life. What those make me cry with out stop at. When I see Raj Kapoor I fell like he is stile live and yes he is. In my heard in my mind even I see him come to me many times in my dream. But when I see this movie it remind me what a person we lost and person that we never forget. I am happy to be the one of long list people that stile Remember Raj Kapoor and remind him. In the End I wily like the movie. Rajesh Khanna and Amitabh Bachchan doing good acting play this movie. 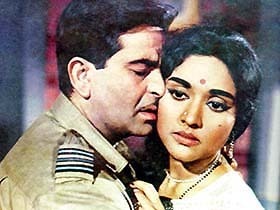 If you focus on Rajesh Khanna You can fell that he act the same like Raj Kapoor doing in live. Copyright 2009 Raj Kapoor Fanclub blog. All rights reserved.